Unusual and beautiful effects are created by sketching on canvas with pencils. A variety of subtle or bold texture effects are created by using different types of pencils. 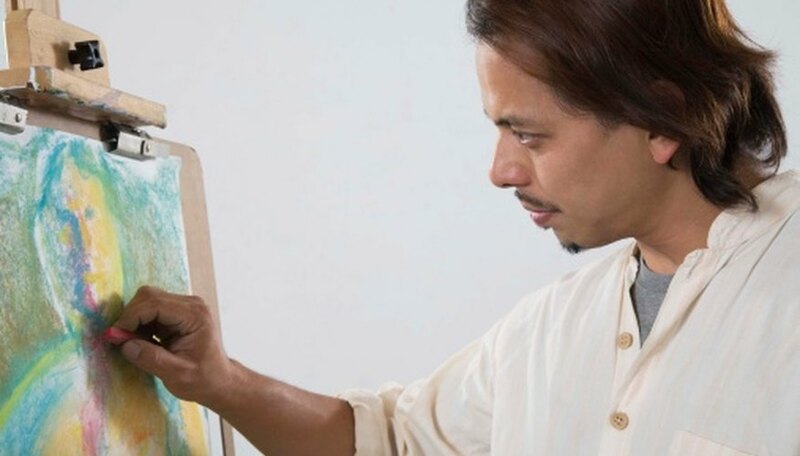 The primary types of pencils used to sketch on canvas are graphite pencils, pigment-based colored art pencils, pastel pencils and watercolor pencils. Graphite pencils can even be used to draw on canvas, but artists will find that they show through oil or acrylic paint over time if used as a base for paintings and mixed-media projects. All but the hardest graphite pencils are suitable for drawing on prepared, stretched canvas. The texture of the canvas lends itself to a variety of shading effects, lines and forms. Sketching with graphite pencils on canvas provides a similar experience to sketching on rough watercolor paper or other heavy-textured paper. Mistakes are easily corrected with sponge, rag and water as an eraser. Graphite is not "lead." Graphite pencils are made from powdered graphite combined with clay and then heated or "fired" to a stable consistency. Ranging in hardness from 9H (extremely hard) to 9B (very soft), graphite pencils are purchased singly or in sets from a wide range of manufacturers. Graphite sticks or crayons that lack wood casings are also available. The texture of canvas offers an interesting and challenging surface for drawing with colored pencils. 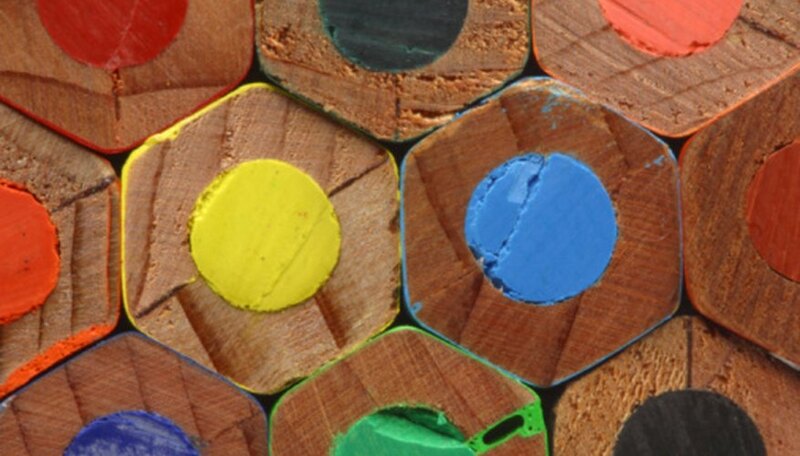 Colored pencils are made from a blend of pigment, clay and wax, which is "fired" similarly to graphite pencils, then encased in wood. Artists should avoid inexpensive children's colored pencil sets for sketching on canvas. Children's colored pencils and watercolor paint typically contain smaller amounts of pigment and higher amounts of filler such as clay, producing less durable and lightfast results. Colored art pencils for sketching on canvas with higher amounts of wax and pigment produce bolder colors and effects than art pencils with smaller amounts of clay or other hard binders. Dozens of manufacturers produce pigmented colored art pencils, available singly or in sets, and with and without wood casings. Gum arabic is a natural plant resin added to the pigment core of colored watercolor pencils to create a water-soluble result. A brush with clear water is "painted" over watercolor pencil drawings to create watercolor wash effects. Watercolor pencils are available from a variety of manufacturers, either singly or in sets, which are very extensive and contain hundreds of colors. Choose quality watercolor pencils instead of student or children's pencils, because cheaper grades are not lightfast. Pigments in watercolor pencils, paints, inks or markers fade quickly if they are not lightfast, sometimes even causing artwork to "disappear." Pastel pencils can produce the closest effect to oil painting in sketching on canvas. There are two primary types of pastel pencils. Soft pastel pencils are made with pigment, clay or kaolin, and a gum arabic binder. They are soluble in water. Oil pastel pencils are made with pigment and a wax binder. 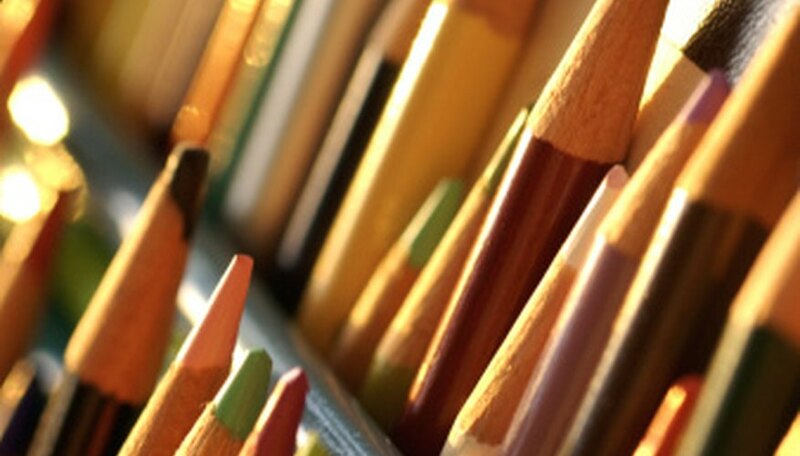 Pastel pencils are encased in wood or pressed into a solid stick with no wood casing. Oil pastel pencils are not soluble in water and are more difficult to change or remove from a canvas in case of mistakes. Both types of pastel pencils are available in single items and in sets ranging from a dozen basic colors to hundreds of shades and tones. All forms of pencils used for sketching on canvas can smear if a fixative or hardened finish is not applied. A light varnish sprayed on canvas after a sketch is completed is sold as "workable fixative." Workable fixative is applied at several points during a canvas sketch. Because the sprayed coating of varnish is very thin, drawing can continue without disturbing layers sketched beneath the varnish.